Will Resume Shipping Around 3/21/2019. 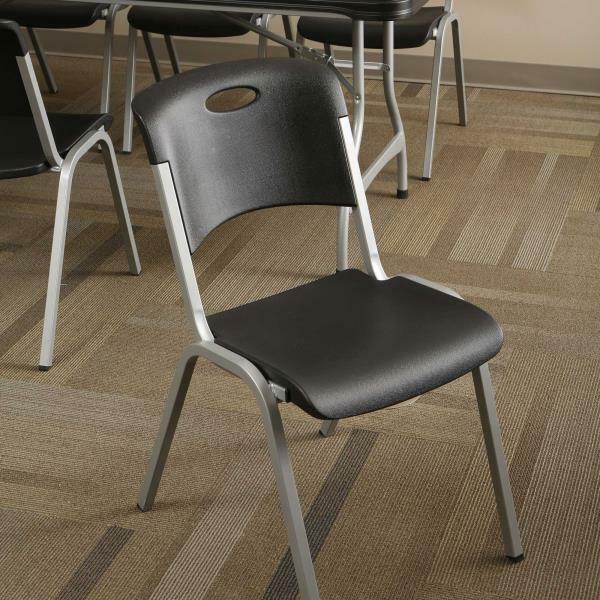 Introducing Lifetime's new line of Premium Black & Silver Office Furniture. 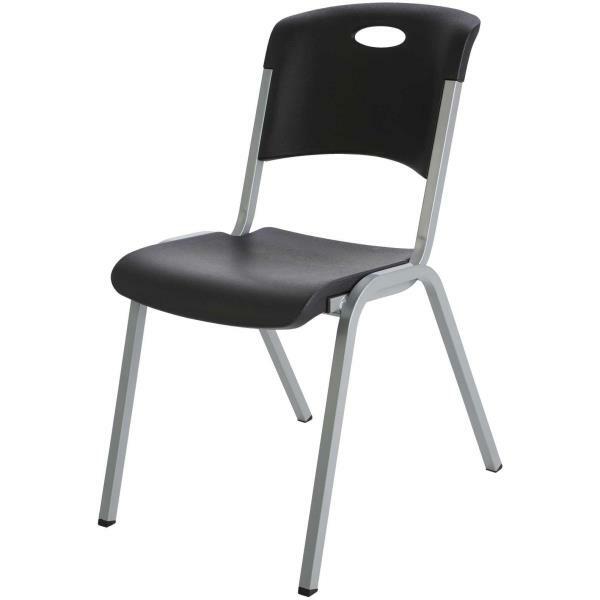 Our Vertically Stacking Chairs are made of high-impact polyethylene, contoured for comfort, and designed for durability. Powder-coated tubing increases strength and stability. 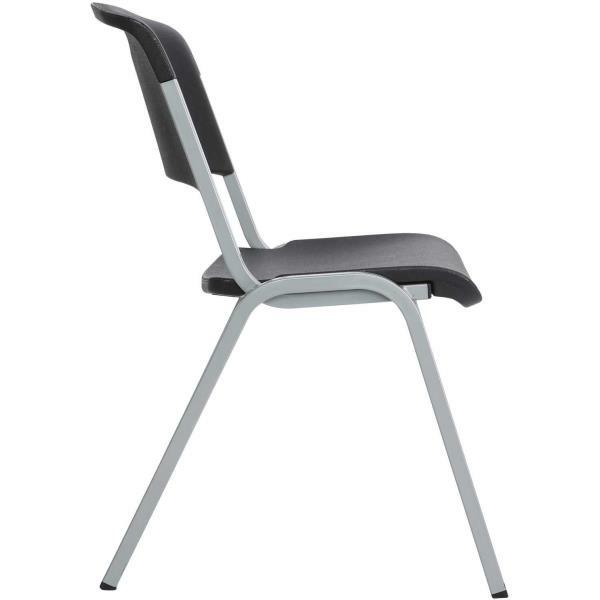 Lifetime Stacking Chairs are lightweight, easy to clean and can be used indoor or out. The convenient design allows you to stack multiple chairs together for easy storage. The chairs exceeds demanding BIFMA standards and are perfect for your next meeting, event or family gathering. 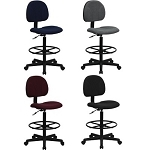 Multiple Chairs Stack for Easy Storage. Made of UV-Protected High-Density Polyethylene (HDPE). Dimensions: 23.3 in. L x 17.9 in. W x 31.9 in. H (59,1 x 45,4 x 81,1 cm). Frame Material : Powder-Coated Steel. Frame Tubing Diameter: 0.8 in. x 0.8 in. (22 mm x 22 mm). Weight: 10.4 lb. (4,7 kg). Q: I need 100 of this will cost me ho much? Q: Is this like the regular lifetime white chairs? Or what's different about it? Dimensions: 24.25" x 19.25" x 39.875"